Everyone has a flat stomach. It’s just beneath the fat. This HIIT circuit revs your metabolism to the highest rate for fat burn. Be disciplined and push yourself through this phase of the abs workout. Go as hard as you can. 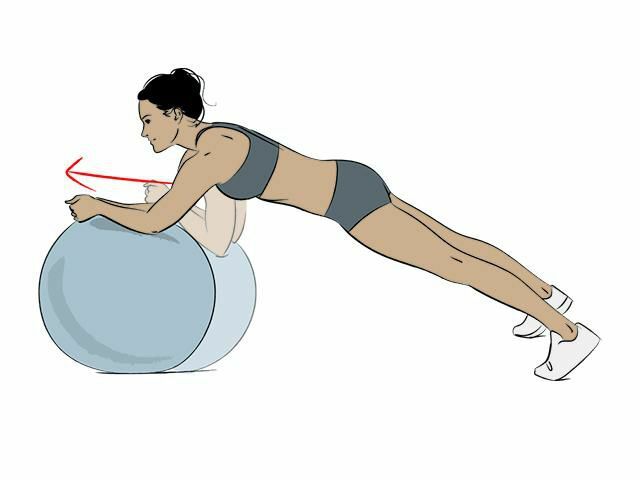 If you’re working towards a lean toned flat stomach, these exercises will target those stubborn lower ab muscles to get you definition all over. Do: This move for 45 seconds with a 30-second rest in between. Repeat circuit 4 times. Squat, hands on the floor and jump back to plank position. Jump feet back to a semi squat, raise one leg out to the side, then the other. Weird, but good. 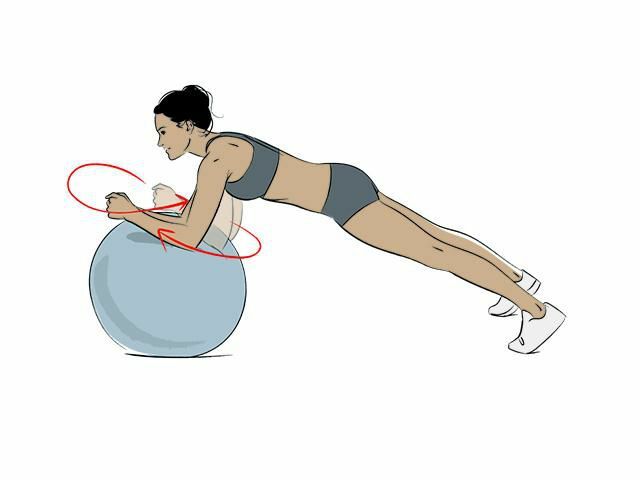 Hold a stability ball out in front with straight arms and stable shoulders. Sprint on the spot lifting your knees above hip height. And breathe. Hold plank position on your elbows, engaging your core. Reach one arm straight out in front of you, swap arms and repeat. No hip-wiggling here. Lie with your lower back pressed into the floor; raise your head and shoulders. Lift one leg off the floor, keeping it straight; alternate legs in a scissors action. Go easy, this is active recovery. Hold plank position on your elbows and engage your core. Keep your torso absolutely still, drop one knee to tap the floor, then alternate knees. Keep that focus. Hold a plank position with your feet balanced on the ball. Drop one leg off to the floor, place it back on the ball, alternate legs. Feel the rhythm. Hold a plank position with your forearms balanced on the ball. Engage your core. Extend your arms forward to roll the ball away and bring arms back in. Keep it steady. Get back on the ball. Clasp your hands together and stabilise your hips. Slowly roll the ball around in a figure- of-eight. Fun once you get going. Lie face down with your hands by your temples and your knees slightly bent. Squeeze your glutes, raise your chest and quads off the floor and hold. You’ve got this!